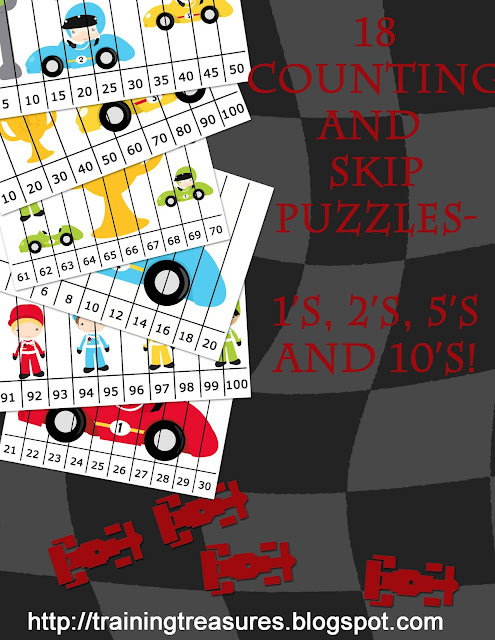 Training Treasures: 18 Race Car Counting and Skip Counting Puzzles! If you liked my counting by 5's race car puzzles, you'll be glad to know that I made more . . . a total of 18 number puzzles! This time number puzzles counting by 1's, 2's, 5's, and 10's (to 100) are included in this download. Some of the puzzle images do repeat, but your children will love putting these together! I know my boys sure did, and it was so much more fun than drilling . . . and drilling . . . and quizzing. Yes, those stressful boring drills were exactly how I taught my oldest son to skip count last year. Sadly, he had forgotten quite a bit over the summer. Yet when I simply laid these puzzles out for him to complete, he miraculously remembered how to skip count! There was no stress about that! I just sat back and watched! And my youngest (soon to be middle child) who turned THREE today, is mastering counting through the difficult teen family. And he is getting it . . . effortlessly! Now that's what I call a success! These puzzles are only free on my blog, so be sure to grab them here. Please let me know how your kiddos did with these! 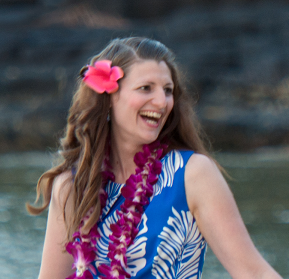 Remember to Subscribe by email to be the first to grab my freebies!